We looked at the Inateck Kindle PaperWhite Case last year, and absolutely loved it. While this case offers the usual protection and joy that you will expect from any other case, it has an extra trick up its sleeve. It actually puts the Kindle in sleep mode every time you close the lid, which means if you have the light on, as you may often do on your PaperWhite, it will turn off, saving you loads of battery life. A hard shell also means that you can be relaxed about the safety of your Kindle. 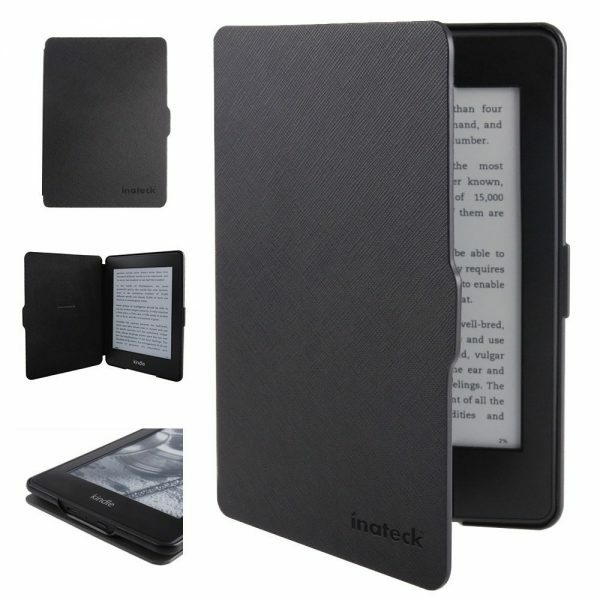 Anyway, Inateck recently wrote to us saying that they’d like to offer one of our lucky readers the chance to win a Kindle PaperWhite Case from them. So, what do you have to do win this one? You have till the 25th of March to enter the competition. Competition is open to UK residents, above 18 only. The winner will be announced at the end of the competition, and we will get in touch with them via Direct Message. The competition is now closed. We thank everyone for taking part. We are getting in touch with the winner via DM.